Manny Ruiz is chairman and founder of the Hispanicize brand of platforms that include the annual Hispanicize Event, DiMe Media (formerly Latina Mom Bloggers) Hispanicize Wire, and the Hispanic PR Blog. In addition, Manny is a large shareholder of the Being Latino platform and publishes his own personal blog PapiBlogger. PapiBlogger was launched in 2010 as the nation’s first fully bilingual parenting blog devoted to creative parenting tricks for parents. Since its launch PapiBlogger has partnered with leading brands including Best Western, Toyota, State Farm, Disney Parks, General Motors, McDonald’s, Sprint, Costa Rican Tourism Board and the American Latino Heritage Fund among others to create unique and engaging influencer engagement campaigns. As part of these campaigns, the Ruiz clan has traveled over 30,000 miles across the U.S. visiting 45 of the 50 states, Canada and Costa Rica while documenting their trips via social media. An accomplished media entrepreneur and award-winning communications industry leader, Ruiz has more than 20 years in Hispanic media, marketing, and social media and marketing. Under his direction, the yearly Hispanicize Event has become the nation’s leading event for Latino trendsetters and newsmakers in social media, marketing, entertainment and innovation attracting more than 2,000 attendees annually from across the country. A former Pulitzer Prize-winning journalist and Hispanic Public Relations Association (HPRA) PR Professional of the Year, Manny is frequently featured in national media outlets to discuss business, entertainment and marketing trends, along with parenting from a father’s perspective. Manny has been featured in a host of shows, national media and trade media outlets including CNN en Español, Despierta America, USA Today, NPR, The Miami Herald, and more. He also frequently serves as a national Spanish-language spokesperson for Fortune 500 brands including State Farm and Best Western. 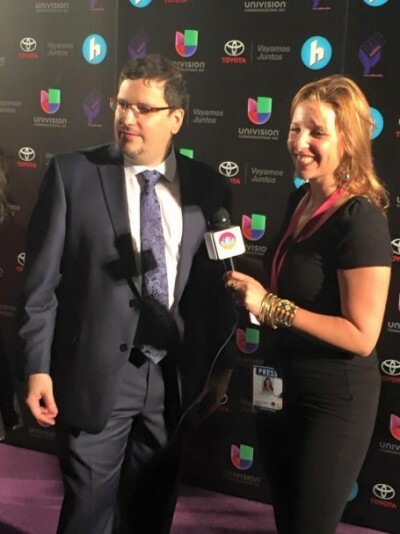 Prior to founding the Hispanicize-related platforms, Manny was President of Multicultural Markets and Hispanic PR Wire for PR Newswire. Prior to PR Newswire’s acquisition of Hispanic PR Wire, Hispanic Digital Network and LatinClips in 2008, companies he founded, Ruiz was Chairman and CEO of HispaniMark, the parent company of these three businesses. Ruiz was named one of the 100 most influential Hispanics in the U.S. by Latino Leaders Magazine. In 2014 he was awarded the Key to the City of Miami by Mayor Tomás Regalado for making Miami a magnet for Latino trendsetters and newsmakers. He also received the 2014 Miami Magnet Award by the Greater Miami Convention & Visitors Bureau (GMCVB) for positively impacting Greater Miami and the beaches. Ruiz, a 2015 inductee to the Miami Dade College Hall of Fame, earned a bachelor’s degree in history from Florida International University (FIU). Manny resides in Miami with his wife Angela and four children.